A new academic study has claimed that Sir Paul McCartney “misremembers” writing The Beatles‘ song ‘In My Life’, with the analysis concluding that it was actually the work of John Lennon. Prior to his death in 1980, Lennon claimed that his songwriting partner only wrote the middle-eight and harmonies of ‘In My Life’. That debate over ‘In My Life’ has been addressed by the results of a new study which has been led by Harvard’s senior lecturer in statistics Mark Glickman and Dalhousie University’s Jason Brown, who is a Professor of Mathematics. The joint study has concluded that McCartney most likely “misremembers” writing ‘In My Life’ – which you can listen to below – as it far more stylistically resembles one of Lennon’s musical creations. The analysis found that there is less than 1 in 50 chance of McCartney having written the music to ‘In My Life’. 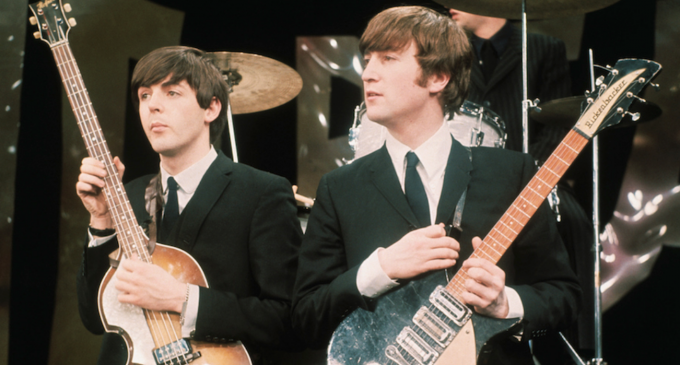 “We wondered whether you could use data analysis techniques to try to figure out what was going on in the song to distinguish whether it was by one or the other,” Dr Glickman said of the purpose of the study, which analysed such features as frequency of chords, chord transitions and melodic notes from Beatles songs which were written between 1962 and 1966. “The probability that ‘In My Life’ was written by McCartney is .018. Which basically means it’s pretty convincingly a Lennon song. McCartney misremembers. The academics came to their conclusion after noting that the pitch of McCartney-written Beatles songs was often complex and varied, while Lennon’s barely changed. “Consider the Lennon song, ‘Help!’” Glickman continued. “It basically goes, ‘When I was younger, so much younger than today,’ where the pitch doesn’t change very much. A spokesperson for McCartney has said that he will not be responding to the results of the survey.